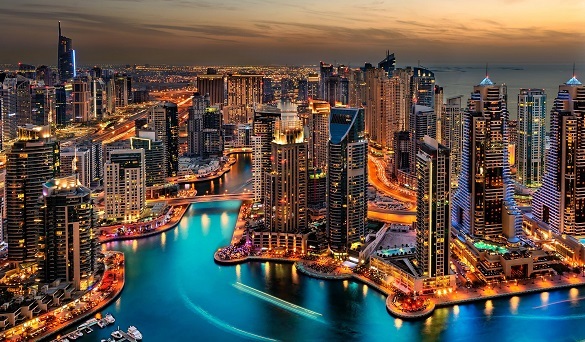 With increased off-plan property sales in Dubai in the first five months of the year compared with the same period last year, homebuyers and investors are putting their faith in developers to deliver timely, high-quality stock. The number of off-plan transactions in Dubai increased 45 per cent in the first quarter, according to a report by Chestertons, while transactions for ready properties were up 4 per cent during the same period, with overall transaction activity showing a 25 per cent increase. “Off-plan has a bit different demographic of buyers,” says Ivana Gazivoda Vucinic, head of advisory and research at Chestertons, tells PW. “It is probably the only opportunity for a certain number of people living in Dubai to own their property. So here we have an increased number of end users. While agreeing with the surge in end-user activity, a report by Global Capital Partners and Reidin reveals a shift in off-plan transactions from lower-value to higher-value ticket in the first quarter compared with the same period last year. Properties above Dh1 million accounted for 47 per cent of the overall transactions in the first quarter last year, increasing to 64 per cent one year later. “It is clear that the marketplace is now shifting towards a preference for larger ticket sizes, indicating not only a swing of the pendulum away from ‘cheaper’ units, but also a greater preponderance of end-user activity,” the report states. Imaginative payment plans offered by developers have helped popularise off-plan. When banks have stayed cautious in offering loans for such properties and stringent mortgage regulations mandating a maximum 50 per cent loan-to-value ratio, developers have created payment plans to match different buyer profiles. One big reason for the flurry of off-plan activity is that more developers with credible track record are offering it. But experts still advise due diligence when investing in off-plan property. Many real estate developers in Dubai are government-related entities, says Aly Rana, a real estate finance and advisory executive at Mashreq Bank, “so there is a strong comfort level that has been built over the years with developers such as Emaar, Nakheel and Dubai Properties, among others”. The best sources when background checking are usually investors, but the government has also been more proactive in protecting buyer interest. Even with all the checks and balances, risk is a by-product of buying off-plan on extended payment plans. Market watchers say mortgage caps will come under review at some point, making these properties more accessible and safer for retail investors, while keeping speculators from using mortgage to buy multiple under-construction properties. He proposes a system where payments are made alternately between the buyer and the bank. For instance, the buyer pays 20 per cent and then the bank pays 10 per cent according to the payment plan, followed by the buyer and the bank both shouldering the next payment with a 10 per cent contribution each. “Once the customer has [paid] 30 per cent, that’s good equity and the bank then takes over the rest of the payments,” says Taylor.